We have learned that when Christ touches your life, He leaves an indelible impression. We have learned that when Christ touches your life, He leaves an indelible impression. Being transformed by His love for us, we are a church that is passionate about growing in relationship with Jesus and sharing His love with others. At Center Grove, expect to find ministry that challenges your heart and mind and calls you deeper into a life-changing journey with Christ - a journey that impacts your heart, your life, your family, and the world around you. We exist to make authentic disciples who live their faith and change the world. We are called to help change the world around us by seeking the heart change that brings life change. Our heart is to challenge people to become more like Christ and thus live in a way that makes an eternity’s worth of difference in the lives of people. God has given us a vision of seeing ordinary people and families find extraordinary life in Jesus. This means that we work to see ordinary people and families at every stage of life taking steps to grow closer to God in a living relationship with Christ and live life together. We aim to be Christ’s hands and feet, helping individuals, families, marriages and communities find His healing and real life. We commit to a set of biblical principles that guide our preaching, our programming, and our people. We are passionate about Jesus. We treasure His Person, character, work and reputation. We believe that the greatest use of our lives is to point to Him as the source of true life. He is our life, our greatest joy and our model for the life that is real life. What He loves, we seek to love. What He hates, we seek to hate. The more passionate we are about Jesus, the more compassionate we are toward people. Jesus loves people and that means that Jesus loves broken, selfish, sinful and sad people, the rich and the poor. We're glad for that because we understand that we are among them! We know that we only love Him because He first loved us. One of Jesus’ gifts to His people is the joy that comes from living life with Him, in His strength and in obedience to Him. Joy, whenever it is present among believers, is a treasured evidence of Jesus’ gracious work among them. Everything is better with it, because everything is better with Him. A cheerful giver is glad to give lavishly to others, for the sake of others, for the sake of Jesus. It’s someone who will give of their time, their money and their gifts so that others can discover the extraordinary life found in Jesus. Someone who will give treasured things away for others as Jesus did for them—generously giving Himself away first for the sake of His Father and then for the sake of others. We treasure the same kind of generous life. We believe that these four practices are at the heart of what it means to follow Jesus. The faith convictions of our church family and our staff can be found in full in the Baptist Faith and Message of the Southern Baptist Convention with which we are affiliated. The Southern Baptist Convention is a network of more than fifty thousand cooperating churches and church-type missions banded together to advance the gospel of Christ through education, missions, ministries of mercy, church planting, evangelism and engagement in matters of cultural concern, pertaining to ethics and religious liberty. Information detailing Center Grove’s position on topics of interest will be available soon. Read the Baptist Faith and Message 2000 in it's entirety. Center Grove began in the spring of 1914 with a group of cotton and tobacco farmers gathering under a brush arbor in a place known as Snow Hill, located behind a farm on what is now known as Center Grove Church Road. They were the practical “get it done” kind of people. With land donated from one family, and lumber from another, they built their first worship center, a chapel, by hand. This small group of rural folk was noteworthy in a few ways. They loved Christ, the Bible and people, and they were willing to sacrifice themselves for all of the above. For many years, the church was not unlike many thousands of small churches in North Carolina. But over the past 25 years, the church has seen some unusual works of God. In the early 1990s, the church was catapulted from a small rural congregation of 50 attenders to a very large one of over 800 in this small rural setting, at the end of a road going nowhere. During that period of growth the church expanded its capacity as a new, larger building was constructed down the road to what is our present Clemmons campus. After a time of transition, Center Grove called Dr. Steve Corts as lead pastor. With this new leadership, 2006 became a critical year for the church. A year in which we deliberately set out to become a different kind of church and a different kind of people—the kind of people we knew that Christ deserves. We wanted to become a church that the community could not ignore and could not imagine being without because we made such a positive difference in the lives of people in the name of Jesus. We set out to define and describe in the clearest terms what God wanted of us as a church. We clarified the basics of who we are and what we do—and it became, quite simply, the way we do church. As we look back at our hundred-year-old church, we see clearly the God of the impossible doing what only HE could do among us. Steve is a fourth generation pastor, born and raised in Winston-Salem. He graduated from Wake Forest University and completed a Ph.D. in Theology at Southern Baptist Theological Seminary. He became Lead Pastor of Center Grove in 2006. As a pastor, he is committed to “fulfilling his ministry” (2 Timothy 4.5) with expository preaching and gospel-centered leadership. His heart is to see the gospel advance as people discover and then practice a “lived faith” in Christ. Steve sees his mission and calling to be that of helping people find and live the extraordinary life Jesus gives, together in healthy, local churches. 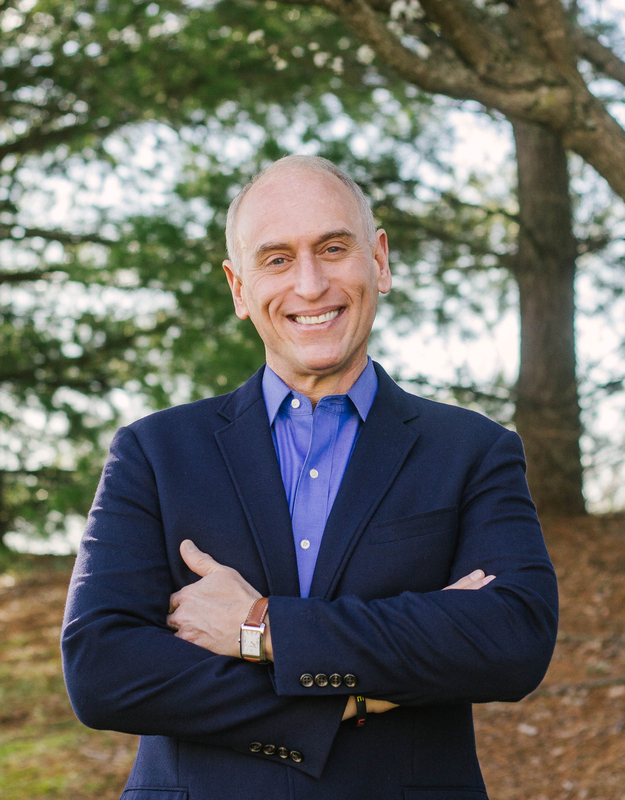 Consequently, in addition to shepherding the church family at Center Grove, Steve serves as Director of the TarHeel Leadership Network, an organization which has now mentored over 900 pastors from across the state of North Carolina. Steve’s favorite scripture passages - his “life passages” - are Psalms 15 and 16 and 2 Timothy 2.20-21. Beyond spending time with his family, Steve enjoys writing, reading biographies and books on leadership and current cultural issues, running and paddling the rivers and lakes of North Carolina. He and his wife, Cheryl, have three grown children and have loved becoming grandparents to Charlie, Elle and Sellars. children to raise authentic followers of Christ. in a faith that is able to engage the real world.